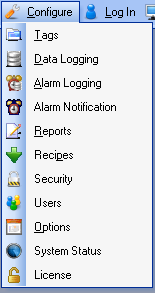 Start Configure OAS application from the program group Open Automation Software on the system where the license currently resides (old computer). Verify that the Maintenance Expiration is current. If it is out of date please copy the License Code from the License Code field and email it to support@openautomationsoftawre.com. Do not proceed further unless the maintenance is current. Record the License Code from the License Code field. Select the Kill License button and record the Kill Code provided. Start Configure OAS application from the program group Open Automation Software on the new system where the license will be moved to (new computer). E-mail the License Code and Kill Code of the old system, the License Code of the new system to support@openautomationsoftware.com along with the Serial Number that was provided with your order. When the License Key is received enter the Key into the License Key field on the new system and select the Save Key button.